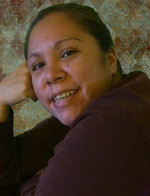 Jacqueline Elizabeth Brooks - 36, Millbrook First Nation, passed away October 31, 2018 at home. She is survived by her mother, Martha Brooks (Bernard); father, John “Jack” (Marlene) Brooks Sr.; son, Victor Albert Brooks; sister, Madeline Rose Brooks; brother, John Anthony Brooks Jr.; aunts and uncles, Arnold Brooks, Rosie Marshall, Benjamin Poulette (Bridget), Levi Poulette (Jink), Maynard Poulette (Gina), Howard Poulette, Nancy Sylliboy; godparents, Shirley Denny and Gary Gloade; godchildren, Makayla Brooks, Cordell Brooks, Felicity Sylliboy. Predeceased by grandparents, Victor Brooks Sr., Rose M. Brooks, Rodderick Bernard, Mary Bernard; uncle, Victor Cordell Brooks, father of her son, Matthew Meader; step-father, Shawn Gillispie. Resting at her mother’s residence, 30 Martin Crescent, Millbrook with visitation Saturday, November 3 after 2pm. Mass of Christian Burial will be celebrated Tuesday, November 6 at 11am in Sacred Heart Roman Catholic Church, Millbrook, with Father Dariusz Miskowicz officiating. Salité and Meal will follow in Millbrook Community Hall. Interment at a later date in Sacred Heart Cemetery, Millbrook. If so desired, donations may be made to a charity of choice. Arrangements have been entrusted to Colchester Community Funeral Home, 512 Willow St., Truro. 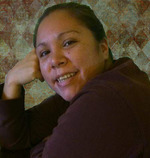 Online messages of condolence may be sent to the family by visiting: www.ColchesterCommunity.com.